Since my daughter was about two weeks old I’ve used a baby carrier. Neither of my boys liked their baby carrier experiences. But I’ll be honest- I didn’t consistently use the carriers with them, but I did with my daughter. Since my daughter was 5 months old (she’s now 17 months), I’ve traveled cross-country with her twice and the baby carrier has proven to be the must have travel item. Here are a few reasons when traveling with a baby carrier can truly make your vacation experience better and why the new Ergobaby Omni 360 is ideal for babies of all ages. 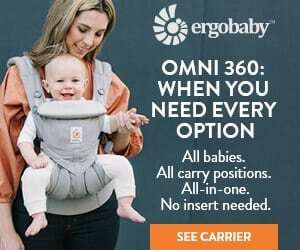 I received a complimentary Ergobaby Omni 360 for review in compensation for this post. No further monetary exchange was made and all thoughts and opinions are my own. 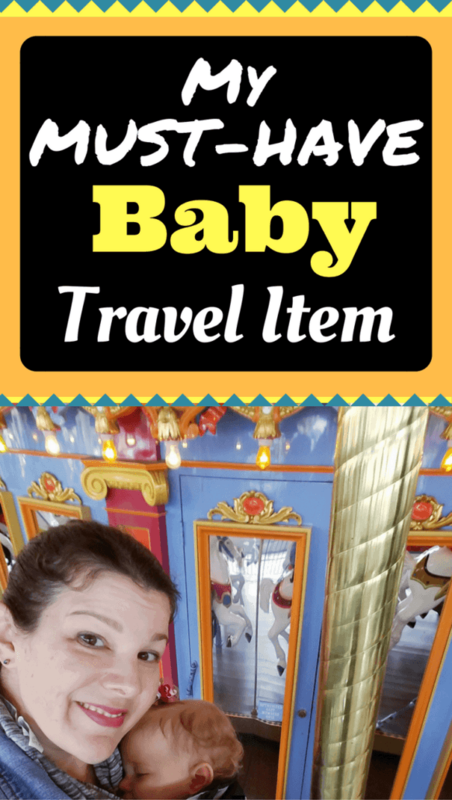 While it might not necessarily fit inside your diaper bag, a baby carrier should absolutely be something you take with you when traveling with a baby. 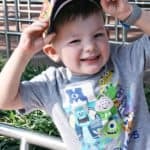 I traveled alone to Walt Disney World, across the country by myself and my 5 month old. I would not have been able to do it without my baby carrier. Even if you think that there will be plenty of people to hold the baby on the trip, bring the carrier. Babies can get easily overstimulated and appreciate the close quarters that a baby carrier provides. 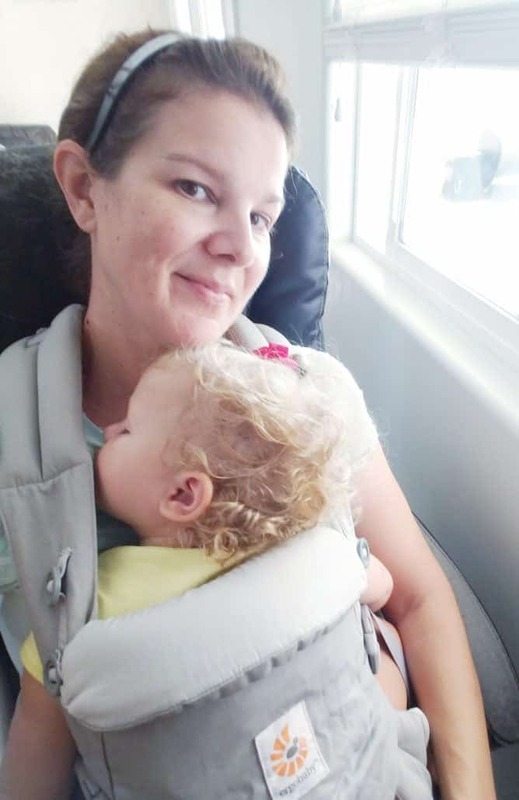 I use my Ergobaby baby carrier every day at home. See why I take it when I travel too. Even if the baby is old enough to walk, bring the carrier. Little ones get tired and want to be carried and you won’t want to tire yourself out from carrying her. Places like airplanes can have a lot of strange germs. Placing baby in a carrier can keep him from touching everything. And keeping him in the carrier also dissuade germy people from reaching out and touching the baby! 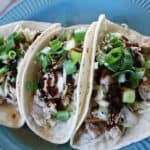 Click through and use the special code at the end of this post for a discount! If anything, you want to be hands free at the airport. 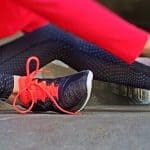 From having to take out paperwork like tickets, passport and ID, dragging your carry-on bag, and removing and putting back on your shoes, putting items on the conveyor for scanning, you’re going to need your hands. If you’re taking a stroller, that’s just one more thing to push around. I preferred having my baby snuggled in close in her carrier while going through the airport. I was even able to pass through airline security with my baby safely sleeping at my chest. TSA swabbed my hands and allowed me to skip the full body scanners. Since I was traveling alone with my baby, I didn’t have anyone to hold her on the plane. Having the Ergobaby baby carrier was so convenient during the flight. I did have to take my daughter out of the carrier during take off, as requested by the stewardess. But as soon as we were in flight, I was able to slip her back inside the carrier. 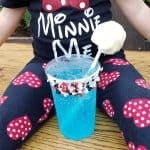 This made everything from eating a snack, holding a book and yes, even using the bathroom that much easier! 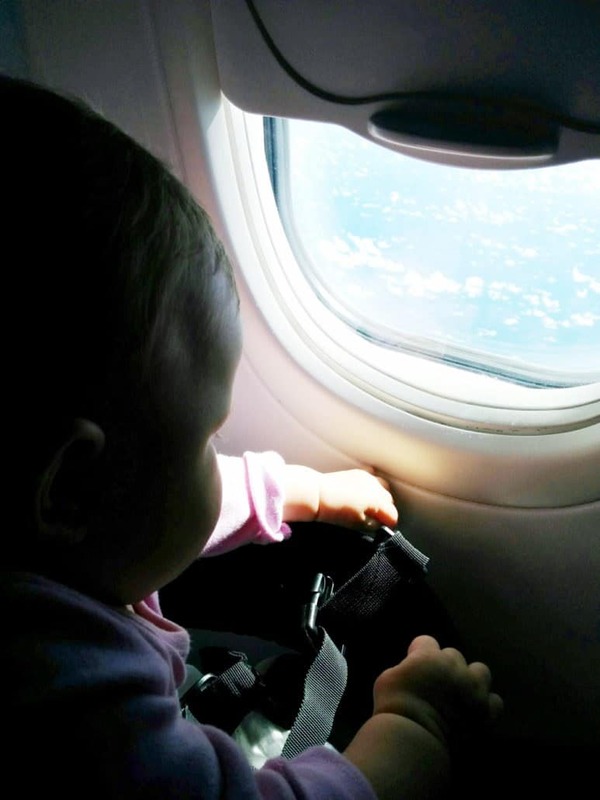 While you can’t baby wear during take off or landing, you can wear Ergobaby Baby Carrier in flight. There are some places where pushing a baby in a stroller just isn’t conducive to the environment. For instance, what about when the terrain is rocky or steep (like on a hiking trail). How about when the streets are cobbled or overly crowded. Or perhaps it’s raining and you need to keep baby under an umbrella. In these cases having baby in a carrier makes so much sense. You’ll be able to climb stairs without looking for an elevator and easily navigate through crowds. At the end of a long day, I found that it was sometimes tricky to get my baby to calm down and sleep. 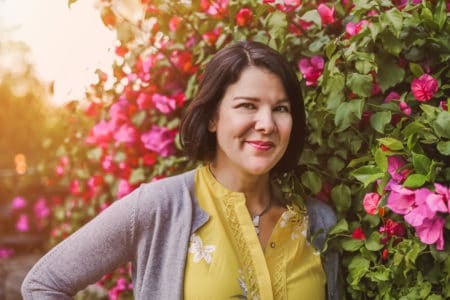 The strange location and having the entire family inside one room was disturbing her rest. Holding her in the baby carrier while I walked around the hotel room, prepping for the following day, allowed her to relax and actually fall asleep. Then I was easily able to transfer her into her crib. 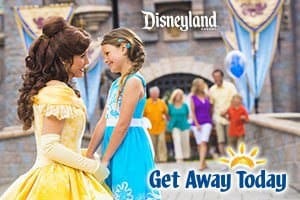 In many cases, when visiting an amusement park, you’ll have a stroller with you. I suggest that in addition to the stroller, bring along the baby carrier as well. I tuck my carrier in the basket under the stroller and use it throughout the day. While standing in queue, you’ll be able to hold baby without sore arms. While my baby napped inside her carrier, we were able to go on family-friendly rides without disturbing her. I was even able to nurse her inside the carrier while I walked around the parks. Most convenient was being able to hold my daughter in the carrier while folding her stroller and boarding a Disney bus to and from the parks. 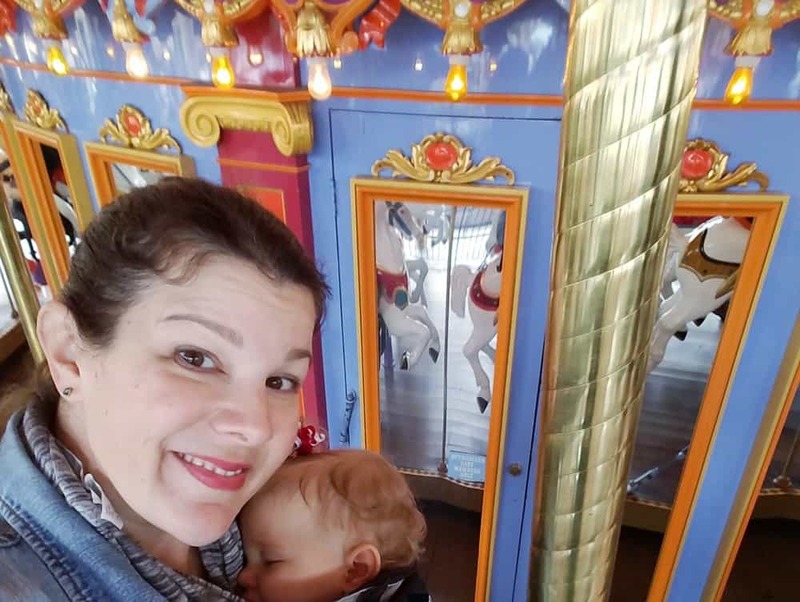 Some amusement parks will allow you to ride with baby in the Ergobaby Baby Carrier without any nap disturbance! 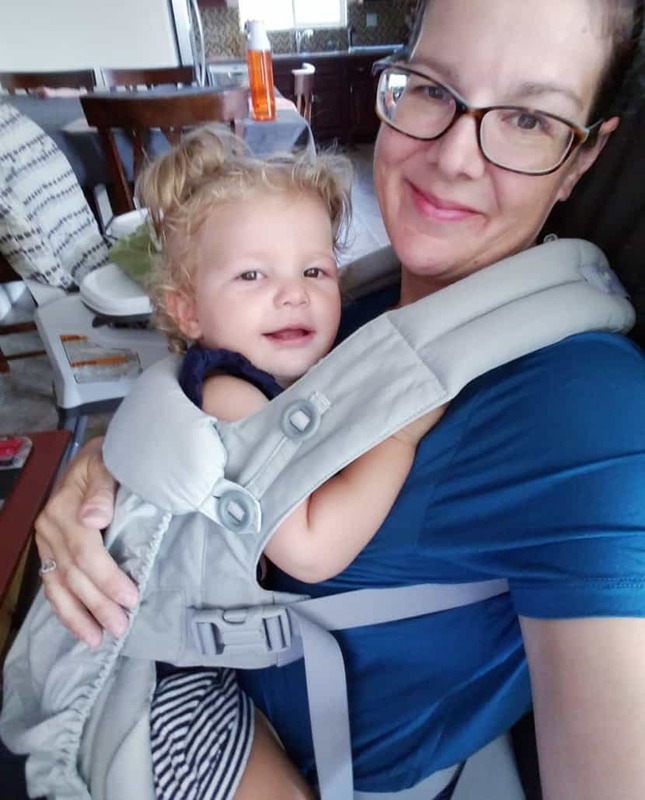 I recently received the Ergobaby Omni 360 baby carrier for review. 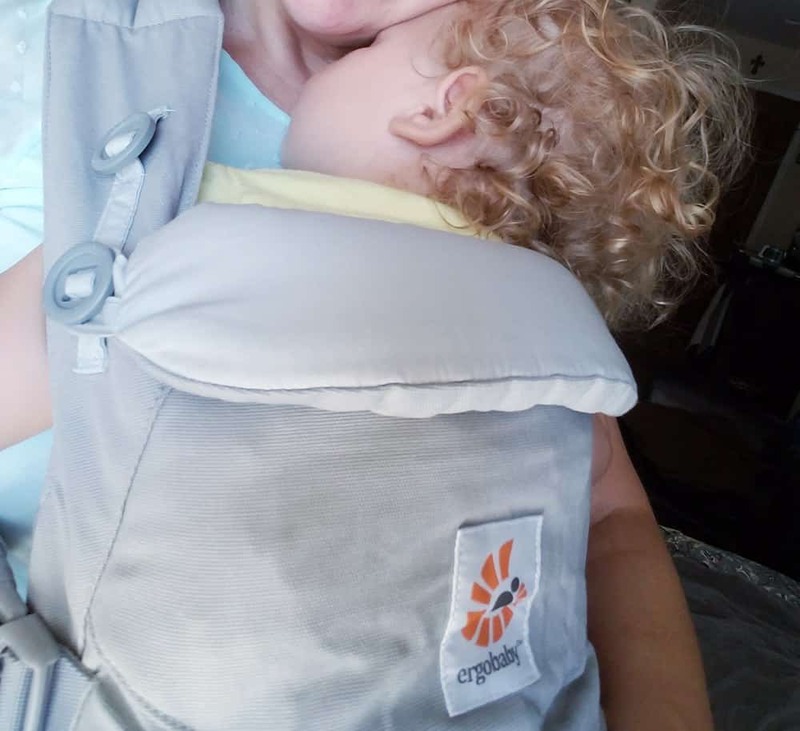 Offering all carry positions, the Ergobaby Omni 360 can switch baby to face out or face you and easily adjusts from newborn to toddler (7-33lbs), no infant insert needed. The various straps, buckles and buttons on your baby carrier can be overwhelming at first. Definitely sit down with the manual and your carrier to get familiar with the different styles of carry and techniques for the most comfortable fit for your baby. It helps to have another adult there to help you with interpreting the instructions and diagrams. If you’re struggling to understand the instruction manual with pictures, try watching a video on Ergobaby’s Facebook page for more clarity! 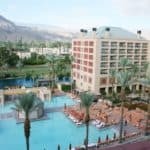 Your vacation shouldn’t be the first time that your baby has been in the carrier. Make sure both you and and the baby are comfortable with the carrier. Practice putting him in and out of the carrier and let him ride around the house to get used to it. It is very important to follow the size rules for your baby carrier. Take into consideration the size of your baby and take note of what methods to use for each age. 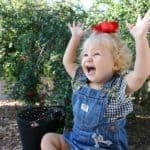 My daughter is now a toddler, a petite 21 lbs and 17 months old. She still enjoys riding in her baby carrier, especially when traveling. She likes being close to me. However my arms and shoulders get so tired when holding her for extended periods of time so I’m happy to have the Ergobaby Omni 360. I can place my daughter facing in, which is perfect when she’s napping. In the Ergobaby Omni 360 my daughter can also face outward, ride on my back or sit on my hip. Velcro tabs and button closures help me quickly adjust the carrier for my baby’s size. Double-lock buckles are easy to snap in and release with one hand. The fabric and design of the Ergobaby Omni 360 is soft and flexible, but still offers sturdy support. The padded straps and ability to crisscross in the back helps relieve any discomfort to my back when carrying my daughter. Find Ergobaby on Social Media Here!